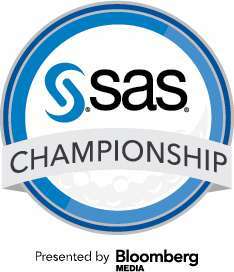 The SAS Championship is a PGA TOUR Champions event first played in 2001. It is played annually in the autumn in Cary, North Carolina at the Prestonwood Country Club. As the final regular-season event before the Charles Schwab Cup Playoffs, the SAS Championship in 2016 now is dubbed “wildcard weekend.” One player who finishes in the top ten at the SAS Championship, and who is not already in the to 72 of the money list will be added to the field for the first playoff tournament. The three Charles Schwab Cup playoff events are the PowerShares QQQ Championship, followed by the Dominion Charity Classic at The Country Club of Virginia and the Charles Schwab Cup Championship. SAS is a developer of analytics software based in Cary, North Carolina.